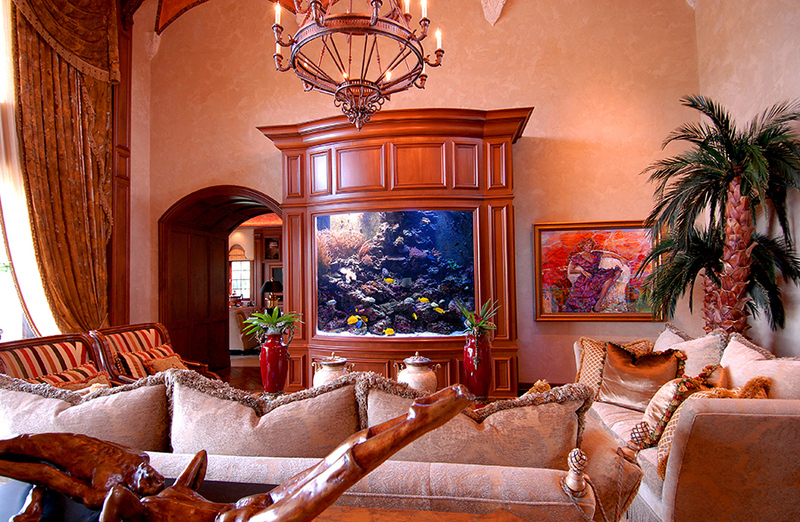 1200 Gallon Living Coral Reef - REEF AQUARIA DESIGNREEF AQUARIA DESIGN | Every great room deserves a great aquarium. 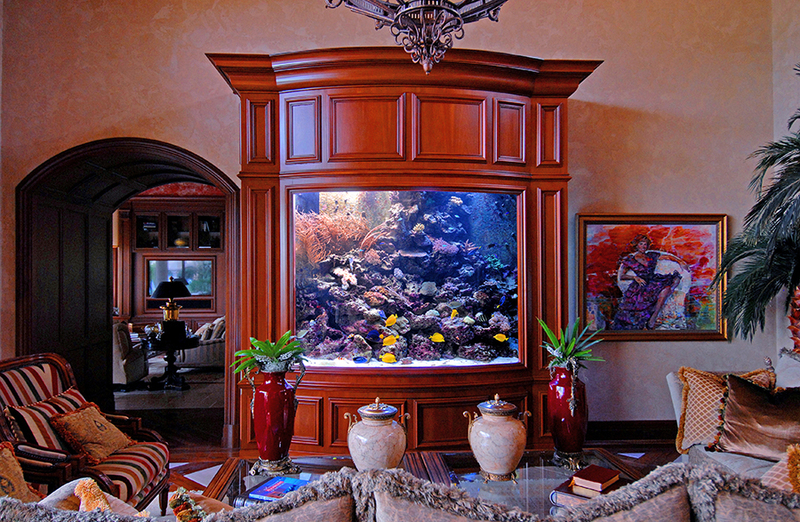 This aquarium was designed using a laminated curved glass panel featuring low-iron glass for optical clarity. Laminated glass is much stronger, so it allowed us to achieve the impressive height required by the design. 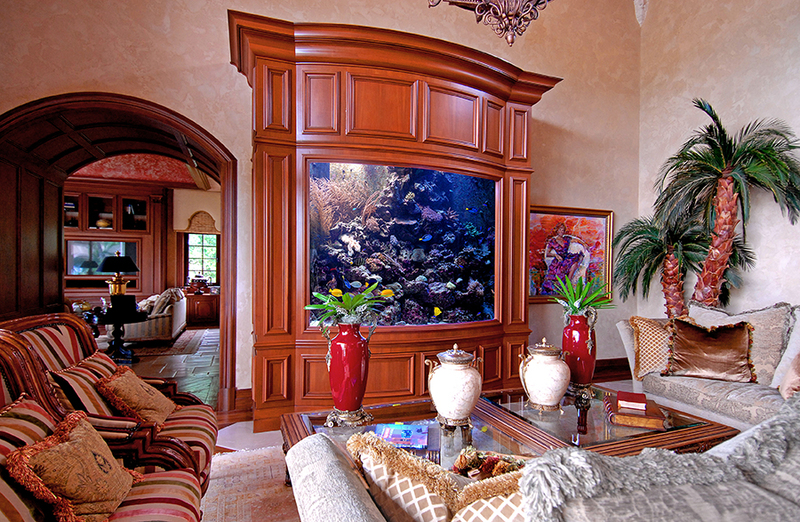 The filtration and life support systems for this aquarium are featured in the basement below allowing for a thorough and ergonomic design. 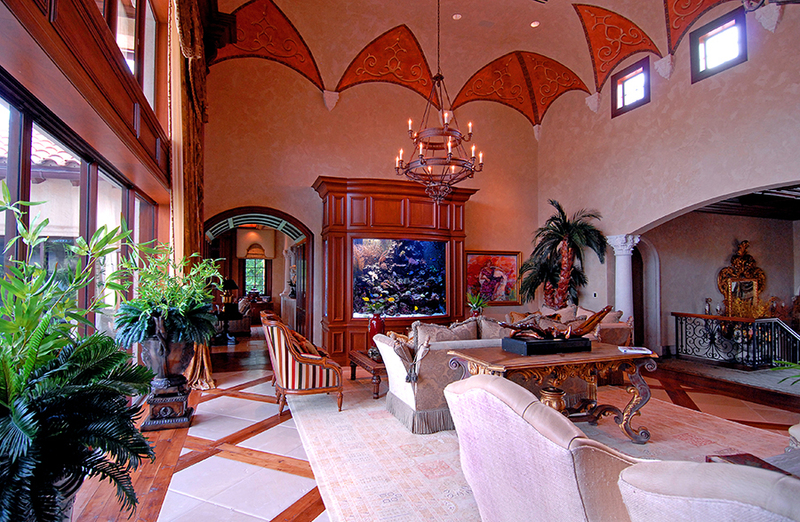 The elegant, classic design of the mill-work reflects the timeless beauty of a thriving coral reef.